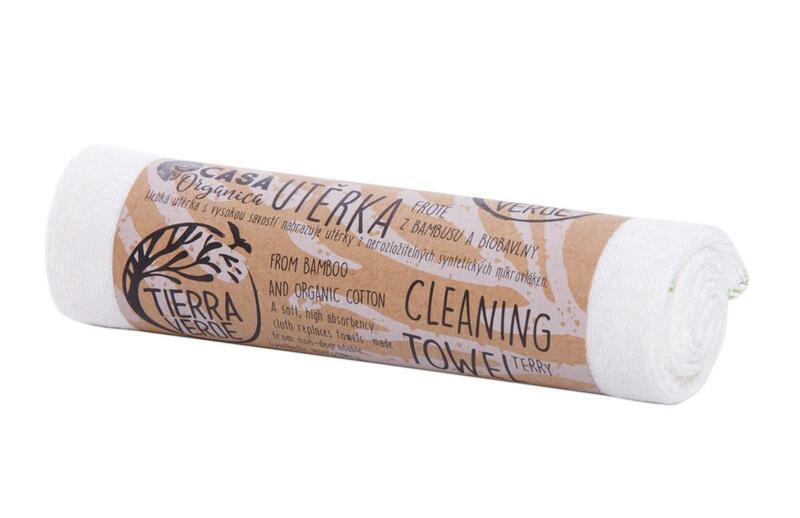 A soft, high absorbent cloth replaces towels made of non-degradable synthetic microfibers. Suitable for bathrooms and kitchens, for washing and polishing windows, furniture and all surfaces, for dusting, drying of pets, polishing cars and wheels, cleaning whiteboards. 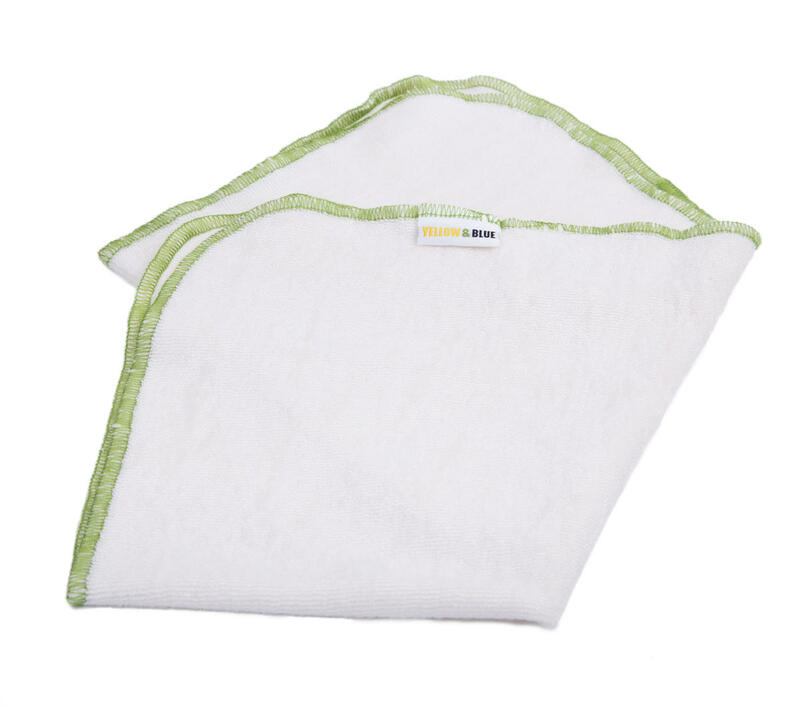 Soft, high absorbent dishcloth made from a combination of bamboo and organic GOTS certified cotton. A perfect replacement for cloths made from non-degradable synthetic microfibers, which are produced from oil. 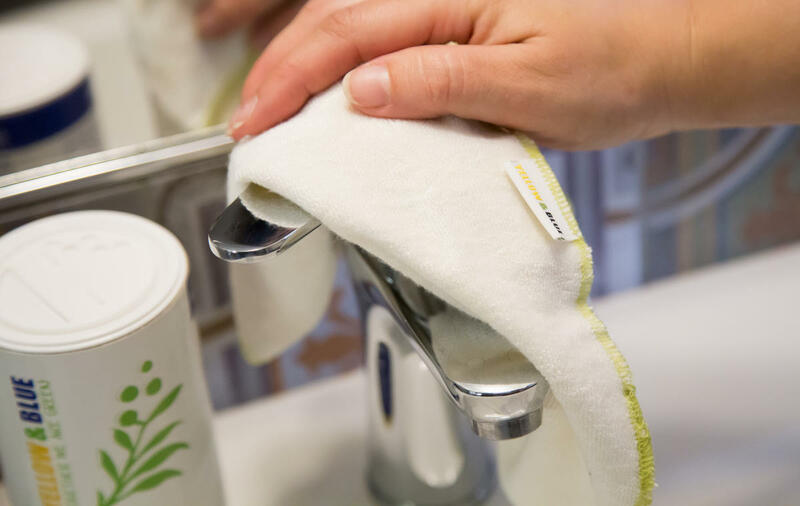 Microfiber cloths can be used for many household purposes and are very popular for their easy upkeep but did you know that after every use or washing, these cloths release non-degradable microparticles which cannot be retained by the sewage water treatment plants, thus ending up in fresh waters and sea? These microparticles can be found today not only in the water, but also within the sea animals that we eat on our plates. The cloth develops ideal absorbent properties after having been washed 3-5 times. Why bamboo and cotton instead of microfibers? Classic microfiber dishcloths are great, they clean properly, reduce the consumption of cleaning agents and are easy to maintain. That is the reason why they are popular even with eco-aware consumers. So where is the catch? The classic microfiber dishcloths are made from non-degradable synthetic fibres (the original source of which is crude oil). After we dispose of the cloth, it remains in its original condition. 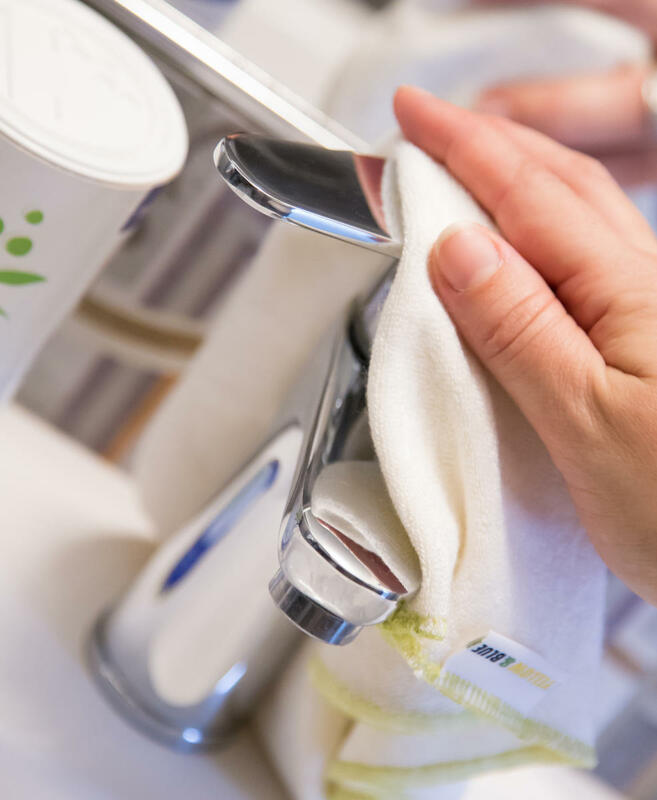 An increasing number of studies have been published recently suggesting that textile microfibres (most dishcloths are made from polyester) are being released during washing into the water. Scientists have found these microfibres not only in freshwater and seas, but also in sea animals. We guess the rest is clear for you… If you want to find out more, just enter “Microplastic marine pollution” in Google. One more piece of bad news at the end – most microparticles are released from fleece. Subject * Product inquiry Dishcloth S (38×38 cm) RMA Misc.